Just like normal money, you can earn it by providing goods or services, and asking people to pay you in Ether. This is often a cheaper and easier alternative to other payment methods, and one of the easiest ways to get your hands on some Ether. 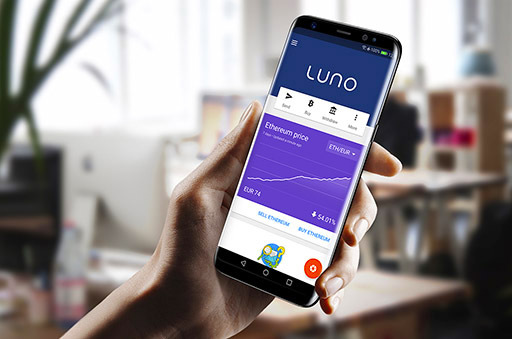 Another way is how most people get it: buy Ether from a credible Ether broker, or from and exchange provider, like Luno. This is similar to how you would buy foreign currency at your bank or shares online and often the easiest way to get Ether because you are virtually guaranteed that someone will be willing to sell their Ether to you on such a platform. You can also get Ether by mining for it, but this has become very difficult to do for the average person. Most mining is now done by huge companies with very expensive and highly specialised equipment, which a typical person or computer cannot compete with. So unless you have a lot of expertise and a huge amount of money to spend on this, rather buy or earn your Ether. You can earn, buy or mine Ether.